All PhentermineDoctors content is reviewed or fact checked by registered health professionals to ensure that it is as accurate as possible. If you are reading this article, then you must have been enlightened by some great weight loss story where the individual has successfully lost a lot of body weight thanks to the one and only – the low-carb diet! Well, they are right, and they are just one of the many success stories where weight loss was achieved by the simple limitation of carbohydrates. The low-carb diet has reduced the weight and brought smiles to people’s faces from the 19th century, and it continues to do so every day, and with a good reason, that is. Read on more about this amazing diet plan and who knows, and you might join in on the whole weight loss experience any time soon! What do we need to know about carbohydrates? Our body requires three different food types in order to function properly. These would be carbohydrates, proteins, and fats. Carbohydrates are used in order for the body to get the energy that it needs on a daily basis so that they can fulfill all of the required activities. Some of the carbohydrates are converted into energy as soon as they are introduced to the body. However, if a person eats a lot of carbohydrates, what his/her body will do is store these extra carbohydrates in the muscles and perhaps convert them into energy later on. Here is the trick. If a person continues to intake more carbohydrates throughout the day, then the stored carbohydrates will be converted into fat, and that is basically how the fat tissue in the body is being produced. 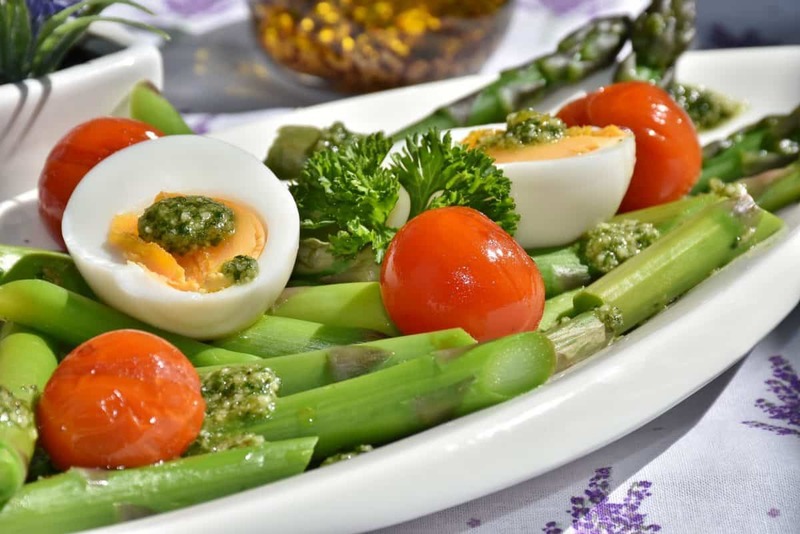 A low-carb diet, short for low-carbohydrate diet or also known as, carbohydrate-restricted diet, is a diet plan that limits the daily consummation of carbohydrates. According to the American Academy of Family Physicians, a low-carb diet consists of 20% carbohydrates as compared with other diet plans (1). Normally, a low-carb diet does not only limit or restrict the intake of carbohydrates, but it also replaces them with foods which are high in healthy fats and proteins. A low-carb diet does not limit your calorie intake, it simply limits the intake of foods that are bad for you anyway, and it does it with style – it offers great replacements so that you do not have to feel hungry all the time. But when was that this great diet plan first appeared? Despite the popular belief that the low-carb diet first appeared in the 21st century that is not true. Although we cannot deny that the low-carb diet certainly got way too famous in the 21st century, it was back in the 19th century when it was first developed by an Englishman named William Banting (2). William Banting was struggling with him being overweight, obese even and you can imagine his surprise when he found that as soon as he limited his carbohydrates intake, he started experiencing weight loss. He tried out different diet plans and even regular physical exercise, but nothing seemed to be working until he decided to give up on bread, milk, butter, sugar, and potatoes. That was when he noticed that he was losing a pound a week and he was highly satisfied with his results. So satisfied that he was more than happy to share his diet plan with the people around him. That was how the idea of the low-carb diet was born. You probably have heard of the great weight loss effects that a low-carb diet has the ability to deliver. The biggest health benefit of the low-carb diet is weight loss. This health benefit has been a subject to numerous scientific researchers, and all of them have proved it in the end. For example, a study published in the New England Journal of Medicine back in 2003, found out that a low-carb diet provides better weight loss results as compared to a low-fat diet (3). Another study published in the British Journal of Medicine has confirmed the same findings (4)! By enhancing the weight loss process, the low-carb diet works to reduce other health risks including stroke, heart disease, heart attack, diabetes, and many others since we know that obesity is a great risk factor for all of these and many other health issues (5). People who have a family history involving heart disease, heart attack, stroke, diabetes, etc. might find it interesting enough to take on the low-carb diet even if they are not interested in losing weight as a way to improve their body image and self-esteem. What should you eat on a low-carb diet? Opposite to what most diet plans, the low-carb diet offers a variety of healthy foods that will satisfy your hunger, and keep you energized throughout the day. The trick is to learn to recognize which foods contain low levels of carbohydrates, high levels of clean proteins, and high levels of healthy fats. You would not like to cause an increase in your cholesterol levels by making the mistake of introducing unhealthy fats instead of healthy ones. Or, to make the mistake of feeling hungry because you are unsure what you are supposed to be eating and what not. In the following, we will share some great food choices that you should not miss out on the opportunity to include them in your diet. There is a variety of fresh vegetables that you can enjoy in given the fact that most of them are filled with very little calories and lots of vitamins and minerals. Leafy green vegetables should be your first choice including kale, spinach, cabbage, lettuce, and arugula, among many others. Then we also have Brussel sprouts, zucchini, eggplant, broccoli, asparagus, peppers, cucumber, and avocados. But enough of the greens, let’s introduce some color to the picture. Make sure that you use enough tomatoes, carrots, onions, and beetroots to make the perfect salads. Lay off the vegetables filled with a starch such as potatoes, sweet potatoes, corn, and squash (6). All of the berries would make a great snack in the middle of the day. Then we also have watermelon, melon, plums, apples, mangos, kiwi fruit, oranges, peaches, and clementine. We would recommend you to limit your intake of bananas, and grapes as they contain high amounts of sugar. Although we are talking about natural sugar, it is still a compound that we are trying to limit by following the low-carb diet (7). We would recommend to include at least one source of clean protein along with a fresh salad as a lunch option. Among the clean protein sources, you should look for fish, chicken breast, lamb, pork, and beef (8). For the best results we would recommend preparing your meat and fish by either grilling it or boiling it, and if you have to fry it, at least use olive oil instead of the usual vegetable oil. Eggs are another great source of proteins, just make sure that you do not overdo it and end up with high cholesterol levels from all of the eggs that you have been eating. Hard-boiled, scrambled, fried or in the form of an omelet – the choice is up to you! There is no need to feel hungry if you have just given up on your usual snacks that involved chips, candy, or popcorn. All that you have to do is find the right replacements. Think about eating fruits, or perhaps nuts as a snack option. And you can add different seeds to your meals to add a little bit of taste and a lot of nutrients! One thigh though – make sure that you avoid cashew nuts, as they are filled with carbohydrates and that is the last thing that you want when you are on the low-diet plan. When it comes to dairy products, there are some things that you should keep in mind. While it is not right to avoid them at all costs, there are some measurements that should be taken. For example, we would recommend sticking to Greek yogurt instead of plain, soy milk instead of cow milk, cheese, and cottage cheese. All of these suggestions are low in carbohydrates, high in proteins, and calcium. They will keep you satisfied and widen the choice of foods that you can eat on a daily level (9). As always, water should be your first choice for a drink at all times. Water is without any calories plus it is good at hydrating your whole body. And we should not even mention the fact that there are no carbohydrates found in water, should we not? You are free to drink coffee, as long as you take it black, or add soy milk to it. As for sweeteners, we would recommend stevia instead of sugar. The same goes for tea as well. When it comes to drinking alcohol, please stay away from anything too strong or beer at that matter. White or red wine would be the best option for the date nights or when you simply want to relax with a glass of alcohol in your hand. Although we want to believe those diet soft drinks brands, it would be for the best to avoid them. Despite the sayings, they do not do you any good, and you should consider avoiding them for the rest of your life and finding some better drink options while you are at it (10). Who should avoid the low-carb diet? Sadly but true, the low-carb diet is not for everyone. Anyone who is dealing with cardiovascular issues, diabetes type 1 or type 2, or has a history of heart disease, heart attack, or stroke, should talk to his/her doctor first before proceeding to follow the low-carb diet. Despite the fact that there might not be any risk at all, there are a lot of other things to be considered at the same time. Please consult your doctor on whether the low-carb diet is the best diet option for you. There are a lot of other diet plans that can be just as effective as the low-carb diet and you should not feel disappointed if your doctor directs you away from the low-carb diet. With the low-carb diet, weight loss has never been easier. By simply limiting the intake of carbohydrates through your diet and replacing them with healthier food choices, you will be making the great step towards weight loss in a number of weeks. Join in the many people all around the world, who thanks to the low-carb diet, have successfully lost weight and improved their lives to the better with a few simple steps.